When certain music play, you just want to tap your feet. When a favourite oldie comes along, it’s a hum-with-it moment if you don’t recall the words. Then once in a while, there is that one song, full of beat, timing, emphases in the right place, lyrics oh-so-apt… and you just can’t sit still anymore. Some Sundays you will find me at the back of the hall, feet trying to keep in time. Please stay a little distance from me as my hand and arm gestures are usually B I G. Haha! Last week the young people had a wonderful rally. More than one hundred of them gathered! They played games and had all kinds of activities. They bopped away to wonderful upbeat and lively tempo music. They settled down to touching and meaningful lyrics. I particularly enjoyed watching the band. The guitarist seemed to be the music director was really on the ball – he carried the music well. He seemed to use a Line 6 FBV Shortboard, the MKII version, because he was able to do soooo much from the stage! Tremendous freedom with controlling the sound. I wonder if he got it from fbv – guitarcenter.com because I know they deliver worldwide, which includes this part of the world ….. The evening ended with a blast and all of us left pumped up and energised. I couldn’t sleep till late…. And no, I am not that young in age, but young in spirit, which is why I took part! Haha! Around this time last year Hubby and I were in Europe, enjoying the weather and the scenery there. Together with some friends we made a quick hop over to Austria. The place where we stayed was where the famous Von Trapp Family lived! Seeing the lifestyle there made my mind wander to the famous musical/movie Sound of Music which is based on the Von Trapp Family. It made me wish I had a guitar with me to play those songs, like the Major did Ha! Ha! With hindsight, perhaps if I had squier guitar sold by Musician Friends I would not have been left wanting! As it was, I had to be content with just watching musical displays and reading history. Still, it was a good holiday indeed. So good, I still look back on it with fond memories; music-filled ones! After being so used to a good and entirely-set-up-for-my-personal-convenience computer, it was a dreadful time to be without. I felt like a nomad at the best of times, a scavenger at my lowest, trying to get into a computer which would do what I wanted it to do, at the speed and functionality I was used to. That’s when I realised how much I took things for granted. So thankful for backups! I was able to access my files somehow. So how did I de-stress? I ate, yes, but more important to me is music. 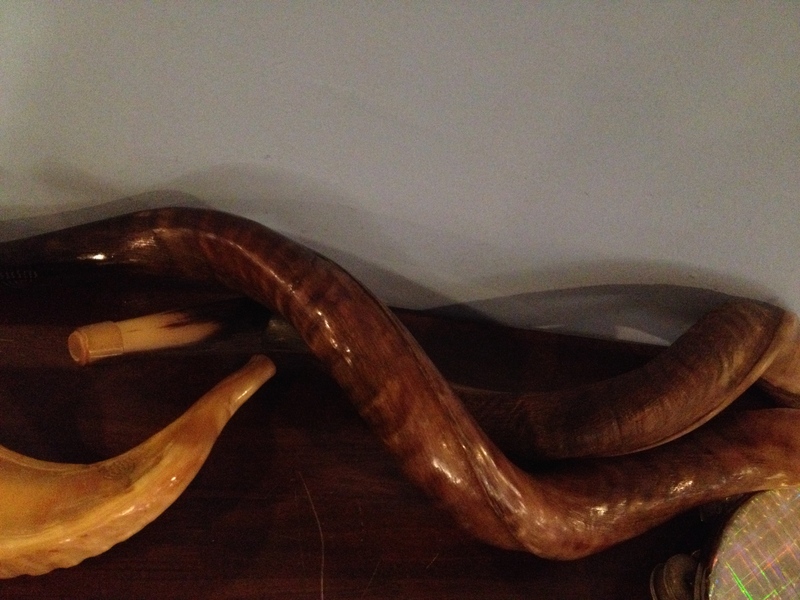 Music soothes the wild beast, and indeed the wild beast in me is soothed! So my favourite way to unwind those coiled up muscles and tensed up ligaments is to stick on some beats headphones and lose myself in some good music. Uplifting lyrics and music will take me to another plane for a while. And as I work on second, and sometimes third, class computers, I am serene…. Hahaha! 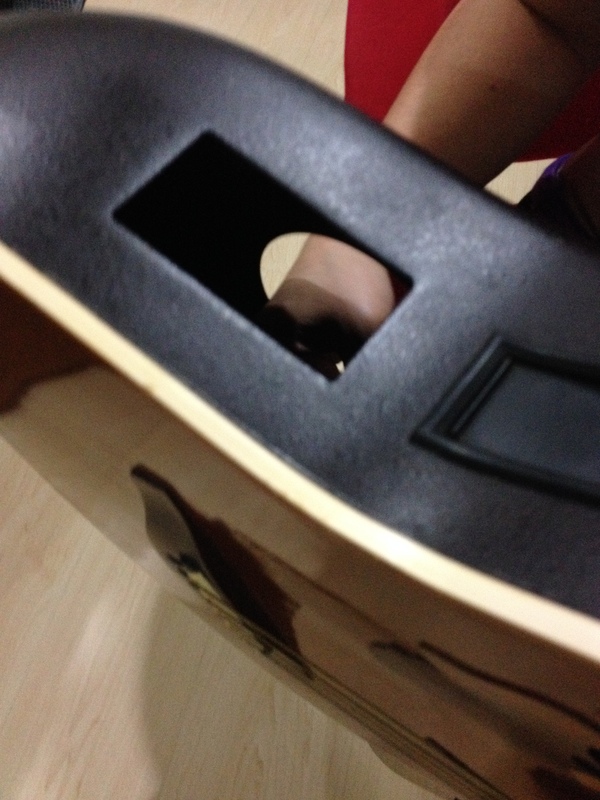 My beloved Ovation guitar has a major problem. The entire sound control panel has fallen into the body of the guitar! I am in such distress because I miss playing with it. That guitar and I go back a long way. When I pick up another, it feels like I am a beginner all over again. Someone did say that maybe I should get replacement. There are all sorts of Starter Packs available and since this instrument is almost twenty years old, perhaps I ought to consider looking for others…. I suppose I should consider…. She’s not quite two and yet she articulates her limited vocabulary ever so well. One very consistent and insistent word we hear is “Guitar”. 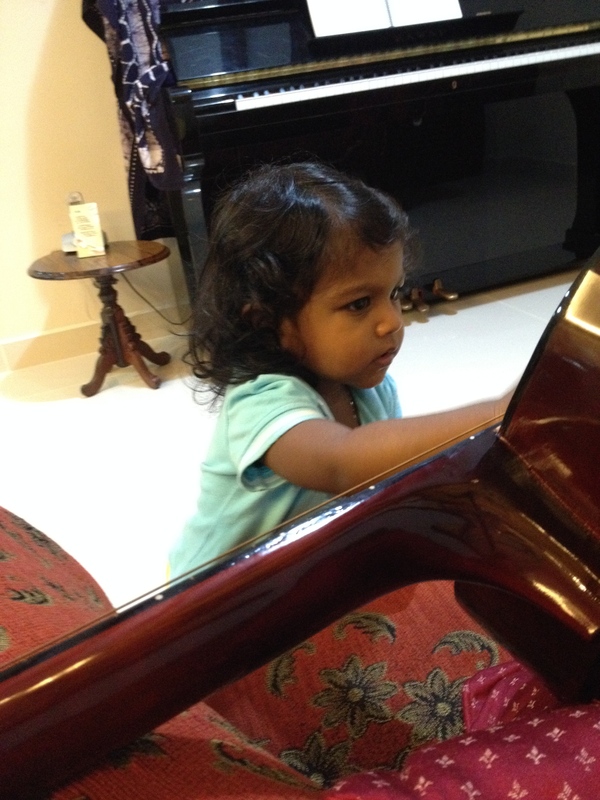 Her Daddy will play his guitar for her before she goes to bed. Just two songs, and then she will happily turn over in her bed and snuggle to sleep. Last night, she visited a new place. There, to her delight, there were two guitars! She plucked quite expertly at the strings of the one within her reach. She was quite firm but not without control. Amazing child! I think I shall suggest to her parents to look out for some Hot Deals online to get something for her this Christmas. You’d never know – they might have a protege here……! 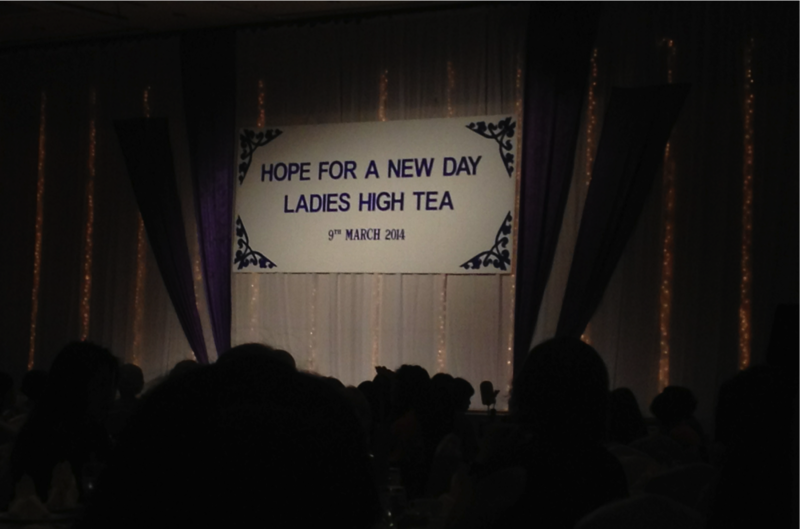 Yesterday I was at a Ladies High Tea. There were performances of dance and music, but the main focus was on the topic of human trafficking – something we see increasingly on the rise. It was to create awareness and to encourage support for the victims and for those who help. Quite an afternoon of enlightenment. It was almost contrary to see the pictures and photos of people abused and trapped contrasting with those who performed. The dancers had beautiful costumes and moved with freedom, pirouetting and leaping gracefully across the stage. What lovely outfits and makeup. Then there were the instrumentals – a young lady doing a solo on her violin before being accompanied by her equally accomplished younger sibling on his guitar. I couldn’t help but wonder how many rescued victims would be able to pick up an instrument and learn. Of course, some accessories and replacements are affordable and easily obtained. It still remains however, for these young ones, often aged 13-17 years, to be freed… or to not fall into the trap in the first case. Yes, a good few hours spent, for a lasting impact.